Watch an amazing new sunset from your porch every evening! Costa Rica Property Doesn't Get Any Better Than This! 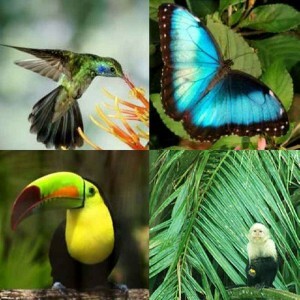 Rancho Silencio is a Costa Rica property made up of only 4 parcels, each an acre and a half or more. Each of the 4 lots has privacy and plenty of options to build your dream home on! Rancho Silencio has no views of nearby roads or highways! 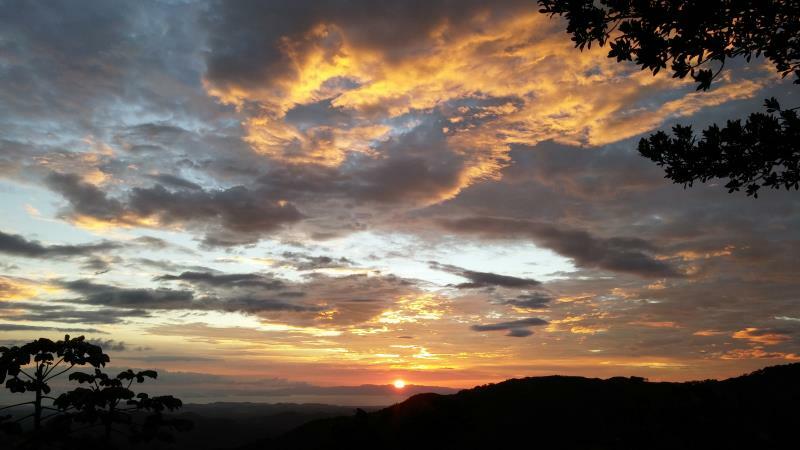 Each lot on this beautiful Costa Rica property provides beautiful sunsets, ocean views, and natural surroundings of mountains, trees, bushes, flowers and wildlife. Yet you have gringo and Tico neighbors just a short walk away, and are just 3 miles down the road from the popular - and much more expensive - gringo settlement of Magallanes! You could buy there instead and be 10 minutes closer to town - but there you will have too-close neighbors, loud truck noise from the highway, and even band practice (read: drumming!) at the nearby school most days! Did you come here to lead a more quiet, relaxed life? Then Rancho Silencio is your best choice! Out here at Rancho Silencio you'll have none of that noise or lack of privacy! Go there to visit friends, stay at home to relax with quiet, privacy and nature! Yet you will be only 6 and 1/2 miles to San Ramon where there are super stores, a mall, banks, movie theater, churches, bars, and a central market and park - virtually anything you want or need! Meet fellow gringos for coffee, play pickle ball, or just shop and stop for lunch with a friend at one of the many nice restaurants! San Ramon has all the amenities of San Jose without the hassle! A hospital, clinics, dentists, beauticians, attorneys, ice cream, chocolate, pretty much anything your heart desires! And far less traffic than Grecia, Atenas and other gringo havens! Closer to San Jose means one thing: more crowds and traffic! 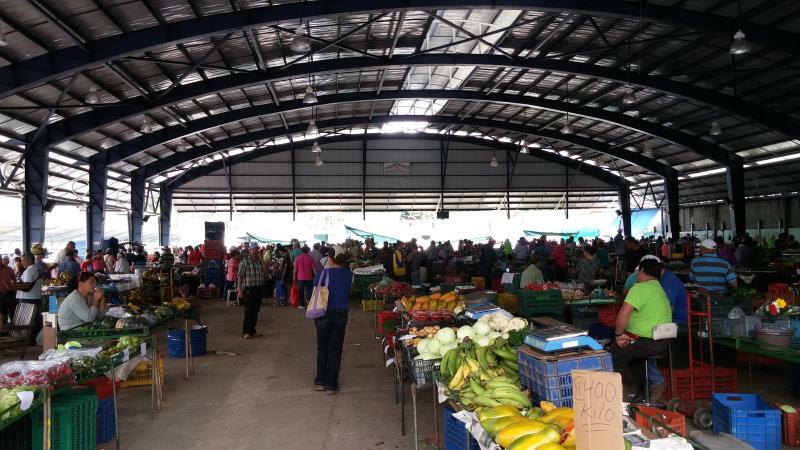 CHOOSE SAN RAMON for your Costa Rica home and avoid the hassles of the Central Valley closer to San Jose. Once you come out here you'll see why this is a much better choice than those more expensive and crowded places! CLICK HERE TO SEE LOTS SIZES AND PRICES! FOR DEVELOPERS AND SMART BUYERS! 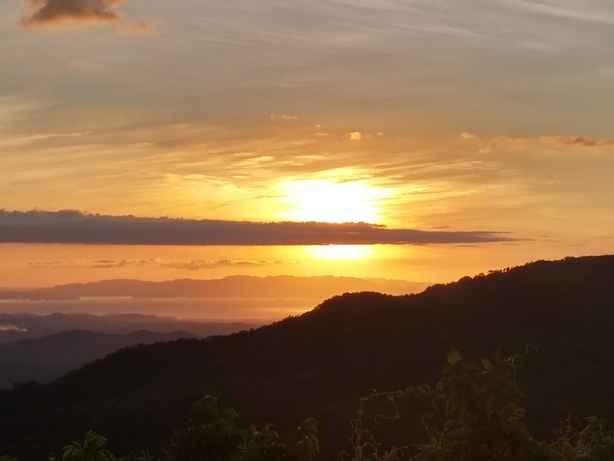 Rancho Silencio, above all, is a place for people who want a Costa Rica property for retirement or vacation, to enjoy the peace and tranquility of nature. These properties all provide plenty of land for a garden and fruit trees, a a greenhouse, a Japanese garden or whatever else your heart desires! You can make the life you've always dreamed of here in Costa Rica! And you will never have any neighbors building on top of you because none of these large lots can be subdivided. Rancho Silencio is for people who like having neighbors to help out now and then, but don't necessarily want to see or hear those neighbors every moment of the day! That is, the lots at Rancho Silencio are big enough and far enough apart to provide you with some space and privacy! Space and privacy you will not get in Magallanes and other gringo communities! Are You Interested But Need More Info? if you have ANY questions about these properties! DO NOT HESITATE! WE LOVE ANSWERING QUESTIONS! 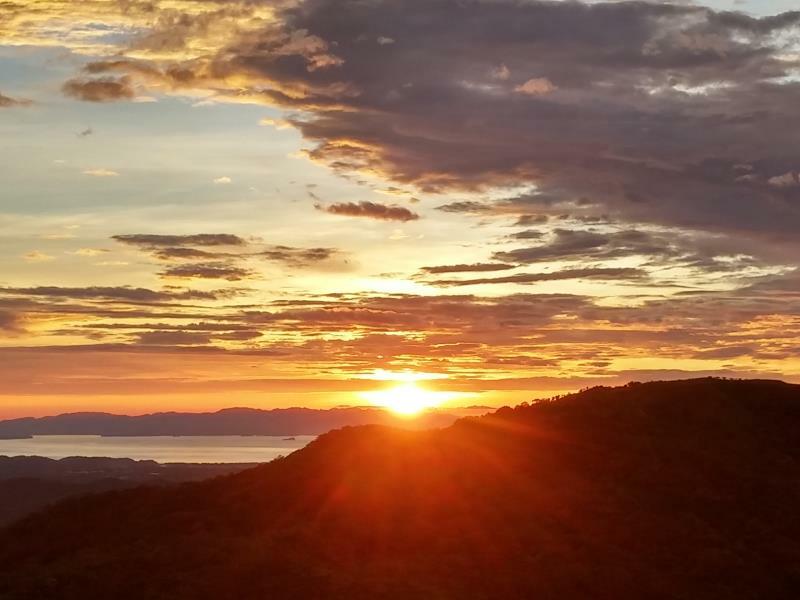 DON'T MISS OUR BEAUTIFUL SUNSET GALLERY! ALL TAKEN FROM OUR RANCHO SILENCIO LOTS! SEE ALL OUR VARIOUS GALLERIES BY CLICKING HERE! Is Rancho Silencio a "Development"? A "development" implies a bunch of houses in a row, a place where you look out your window and see 2 or 3 other houses. 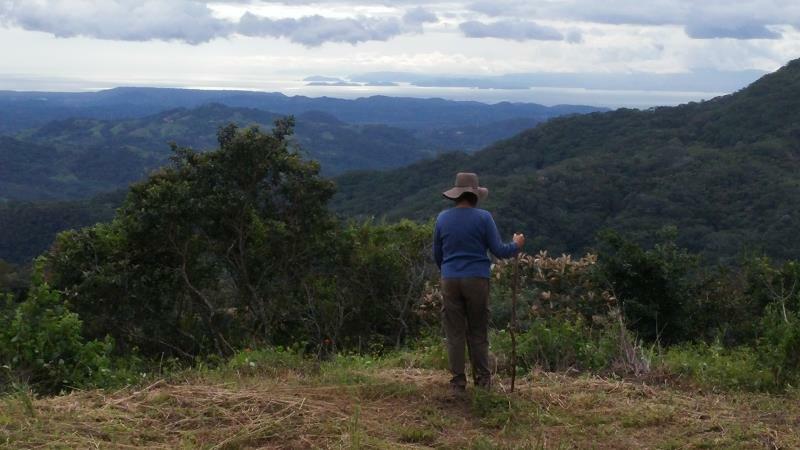 Often a "development" - especially here in Costa Rica - means that your "lot" has been cut out of the side of a mountain and it often consists of no more than a small area of dirt where you can build your house. Many such lots have no trees, no grass, not much of anything. Many lots you will look at will only have a view of your neighbors with the sound of the highway nearby. These properties are not that! Rancho Silencio is not a development, it is 4 separate properties! A "gated community" often means that a bunch of like-minded - or not so like-minded people - live close to each other in Costa Rica so they can feel like they are still back in the U.S. or Europe. Inside a "gated community" you often find a bunch of people who claim they want to get away from it all, yet bring it all with them! If you live like that, you may as well live in the USA! Also, gated communities are targets for burglaries. Ask around how many burglaries have happened in Magallanes in the last 2 years. How many here near Rancho Silencio? Zero. Security does not mean being amidst fellow gringos! Guards? Sometimes they are in on the burglaries! 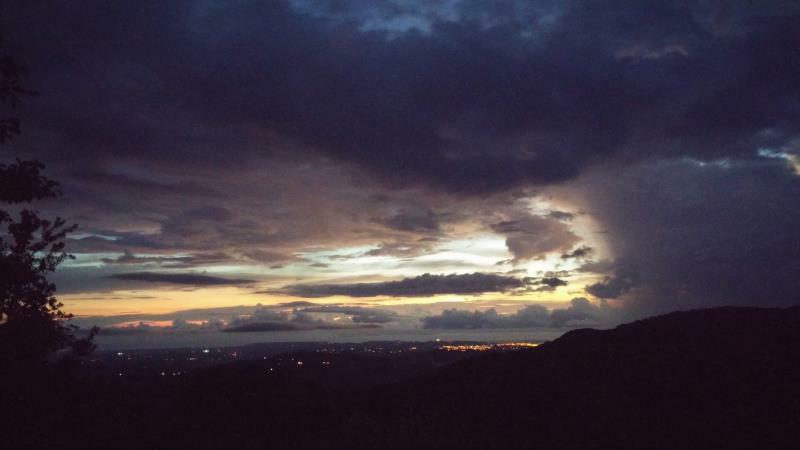 Rancho Silencio is simply 4 separate properties that are situated next to each other. You are the owner, you build what you want! 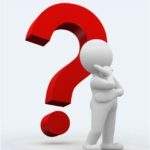 There are no annual "dues" - some charge $50 a month or more! - because this is not an artificial "community" or "development". Good Temperature - not too hot and not too cold! 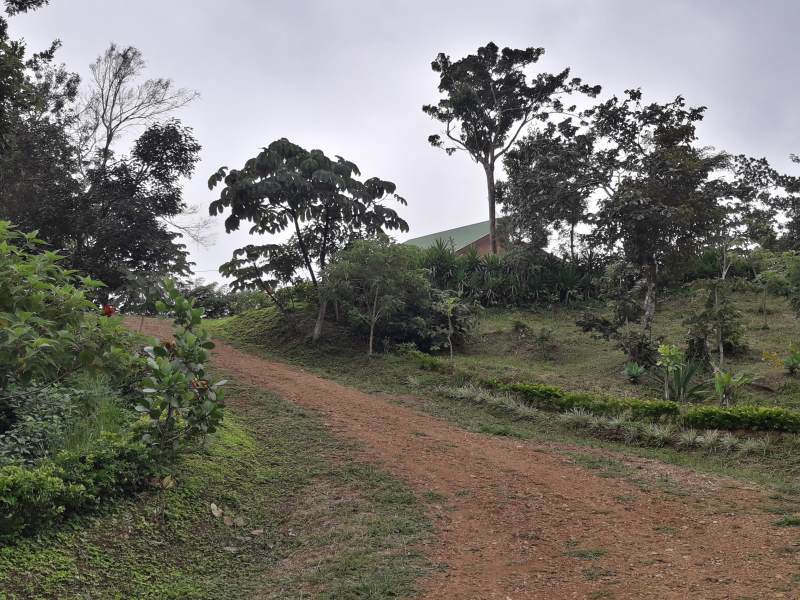 This Costa Rica property sits at roughly 2850 feet. It is high enough to escape much of the sweltering heat at sea level, but low enough to avoid the downright cold nights at many higher elevations in the Central Valley. You didn't know it gets cold here? Well go stay a night at a 5,000+ feet elevation and find out! 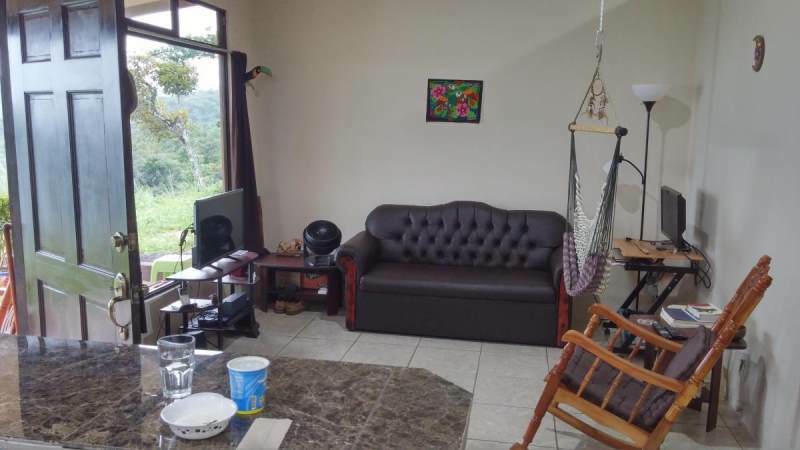 Rancho Silencio is, in short, a place to unwind and leave it all behind: the perfect San Ramon Costa Rica property for nature lovers who want a peaceful quiet place to live yet be only minutes from town!